All fires are hazards, but not all are created equal. A fire that breaks out in any area of an industrial complex can not only threaten lives and equipment, but also damage your entire process and business. 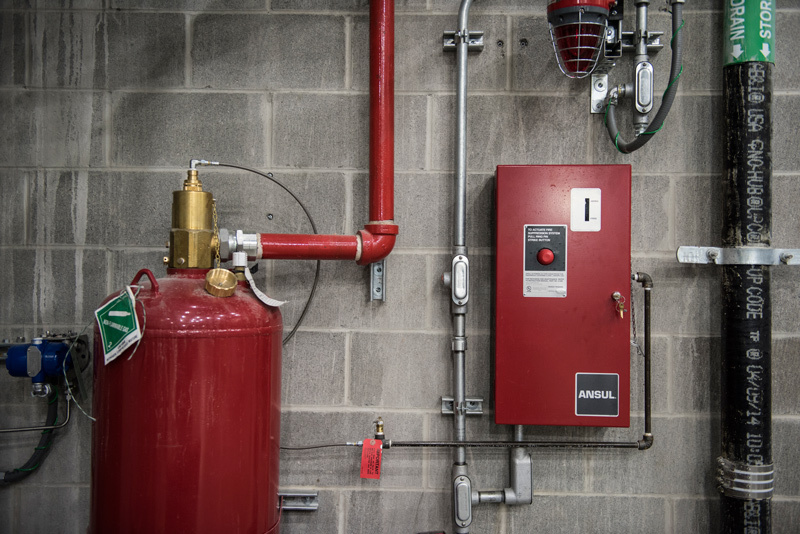 To protect all aspects of your business and facility, special hazard fire protection is a must. Since 1987, 3S Inc. has been protecting high-value processes, equipment and facilities in the industrial market with innovative, customized special hazard fire suppression systems. We are experts in assessing hazards within a facility, and developing a suppression system that will not only contain fires, but also minimize damage and downtime. Innovation is key, and our team is dedicated to being on the cutting edge of technology so we can offer the best protection options available. Our designers and engineers are NICET-certified and work to custom build fire suppression systems that address all our customers’ needs. In addition, all of our control panels are built to NEMA standards to withstand the rigors of the industrial environment. We thrive on delivering a system to our customers that many of our competitors will shy away from. We have years of experience and deep understanding of the different systems manufacturers offer, so we can design a system that will work for your unique applications. Noted below are some of the applications we have extensive experience in. 3S is a major innovator when it comes to protecting pickling lines. Since acid tanks on pickling lines are plastic and flammable, a fire could cause severe damage if there isn’t a quick response. We use optical flame and heat detection to immediately activate the fire suppression system to minimize damage and downtime. We worked with Victaulic to develop a Vortex water mist fire suppression system that uses very little water so containment is not a concern with this system. Our special hazard fire suppression systems can be found in car makers’ automotive electrostatic painting plants all over North America. Fires can be a common occurrence in these facilities due to the electrostatic painting processes. A spark can quickly ignite atomized flammable solvents and paint. Our custom special hazard systems include fast response flame detection and suppression systems that can extinguish the fire before it grows out of control. Some of the car makers we work with are Ford, Honda, General Motors, Kia, Mazda, Nissan, BMW and Tesla. Our work at natural gas turbine facilities involves a number of fire suppression systems and techniques. Our engineering team begins its work by studying the architectural drawings of the facility and creating a complete custom system. As an example, we recently worked with American Electric Power to design a mass notification system for one of their facilities. Our design included clean agent systems in control rooms and data centers, CO2 systems in turbine generator housings, and combustible gas detection. The mass notification system provided both automatic and manual voice messaging throughout the entire facility. Wet benches are used for semiconductor processing by manufacturers producing various technology products. Due to the acids involved with the process, the equipment is constructed of plastic materials. These plastics can be flammable or can become flammable over time due to the acids they are exposed to. Our suppression system combines flame and heat detection, and water mist right in the machines to target fire and extinguish it quickly. Contamination is minimized by using nitrogen and minimal water. Because we customize our special hazards fire systems, we have experience with a variety of suppression systems. Check out our Fire Suppression Systems page for more information. To talk about your needs for special hazard fire suppression, call us at 513-202-5070 or fill out an online contact form. With a request for a quote in hand, we can start our discussions for your fire protection needs. Between preliminary conversations, scheduled site visits, reviewing of blueprints and project specs, we can put together a comprehensive proposal with system layouts and drawings.